Once you have an account, you will be asked to create a profile for each of your students. This will give them a username and password required to login to the game. 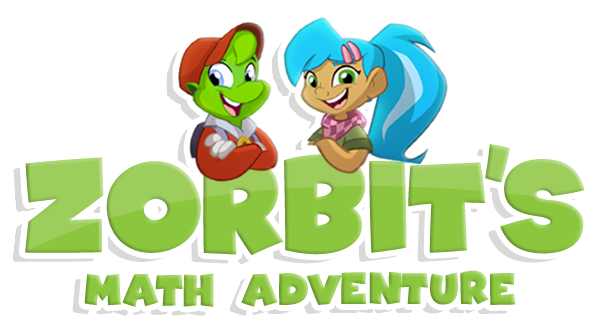 Zorbit’s Math Adventure games are compatible with iPad 4th generation devices or newer, running iOS 10.3 and later. Play on your iPad: Search "Zorbit's Math" in the App Store on your iPad. 64-bit browsers are recommended. Other browsers, including 32-bit versions, are supported but players may experience some memory issues. Internet Explorer is not supported at this time (sorry!). Graphics card: DX9 (shader model 3.0) or DX11 with feature level 9.3 capabilities. Games will not run on drivers released before 2009. Load Zorbit’s Math Adventure on each computer in your class before your students start to play. This is because the game will load the slowest the very first time it is played on a new computer. After that, loading times will be faster. Close all other open tabs and programs. This will reduce the memory usage on that device, which will improve stability, performance, and load times. Avoid refreshing the webpage when running Zorbit’s Math Adventure. Loading times may be longer than you first expect, and reloading the page instead of waiting for the loading sequence to finish will force the page to begin loading again from the very beginning. We do not support Android devices at this time.